Swimming Speed vs. SPL what’s the missing link? 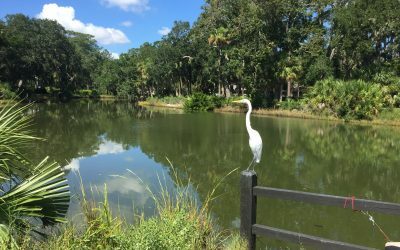 Here’s a case study of one of my triathletes, who is training for IM Lake Placid. His swim is the weak link, so we are doing a lot of focus in the winter months here on technique with most of his swim training focused on skill and a monthly in person swim lesson (I’d prefer more often but that’s what we can fit in). His swim set started with a 500 yard technique focus, followed by a 10x 50 swim tracking SPL & time. Here is his (brief) report. GC: I did the 50s in 55-58 seconds with SPL at 20-21. Still feel like I am using mostly arm and little trunk. 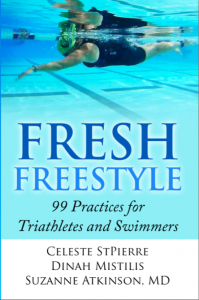 Suzanne: Speed is the product of tempo and # of strokes. 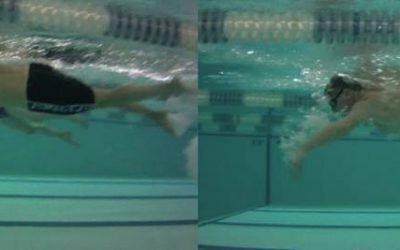 Foundations are the # of strokes which indicate how well you reduce drag and convert effort to forward movement … small effort, lots of forward movement will result in fewer strokes, but speed may be slower . That’s a normal part of the process. I’m sure there is a part of the brain that triathletes especially have a hard time deprogramming that is always looking at speed and comparing “today’s” effort with how fast they went. But until you’ve gotten a good handle on technique, chasing speed will always limit improvement in the long run. Here’s a great chart that you can reference for a “personal stroke count range”. Don’t worry about speed right now let’s focus on finding that smooth coordinated swimming you had good glimpses of at our last lesson. In working with adult onset swimmers and triathletes who tell me that they’d like to get faster, I always collect information from them about their swim. Ideally this happens in person so I can see their stroke, take video and help them make technical corrections. It’s those technical corrections that result in SPL changes and eventually speed. One problem that often arises however, is that the triathlete’s mind is typically focused primarily on speed, on pace and on yardage. I’m fine with triathletes swimming a lot of yardage, but only if their stroke is nicely tuned up. Otherwise swimming more repeats of poor strokes just results in fatigue and calories burned. This athlete was down to 16 strokes at our last lesson and swimming 25s at less than 30 seconds with little to no effort. Why would his SPL climb to 21 to swim a 50 at only 58 seconds? Maybe a better question is that in his pursuit of 55 seconds or better…did he sabotage his improved technique causing SPL to go back up to 20? While 20 is better than his previous 22-23 strokes per 25 yd length, something is amiss with his swim, and we can determine it from the numbers. Speed vs. SPL what’s the missing link? Knowing our GC’s metrics from this swim, 55-58 seconds in 20-21 strokes, let’s do some simple algebra to estimate his tempo. Factoring in pushoff time as an estimate allows us to get a pretty good job estimating tempo. There are a couple of ways to estimate pushoff, but I like to add 3 to SPL to account for strokes that were missed. If you have no pushoff, an adjustment of 1 is fine. A poor pushoff 2 is fine, and a very long pushoff, like one might use in competition swimming could account for 4-6 strokes not taken. 3 is just fine for an estimate. Since GC’s times are for 50 yards we could divide the 50 time by 2 or multiply the SPL side by 2. The math works out the same. His tempo range here is 1.06-1.26 seconds per stroke. Here’s what I see happening with GC. When he tries to swim faster, say the 55 second effort, his tempo goes up to 1.06. This is a fairly fast tempo for an adult onset swimmer with swimming as his weak leg. At that tempo the swimmer needs to have great execution of every stroke hitting streamlining moments and propulsive moments at just the right moments. GC’s muscle memory from his lesson is far to fresh and new to try swimming at this tempo. But that doesn’t mean his 55 second 50s are out of reach. Notice his tempo range with this improved stroke is now 1.3 to 1.5 seconds per stroke. If you’ve used a tempo trainer and are not a beginner…this is a pretty leisurely stroke rate. OK…now lets see where the magic can happen. If GC can stop focusing or worrying about his speed during the next 4-6 weeks and work only on reviewing our lesson…in which speed was not a priority at all, he’ll develop muscle memory to get that improved form to stick. Then if he starts to work in tempo, using a tempo trainer, he’ll see speed start to magically appear. Every one of these combinations is faster than his most recent result, and I’m sure would thrill him. In order to make this happen, however, he first needs to let go of pace/time as a measure of ability. Noting that time is slower is fine, but assigning an emotional component to the time is dangerous. With this type of connection using the “missing link” of tempo, triathletes can start to free themselves of the need to chase the clock all the time, and rather than distinctly separate a single workout into “drill set” and “main set” involving speed, a better approach might be to assign mesocycles of 4-6 weeks or so achieving specific targets of balance & skill reflected in lowering of SPL into a good target range. IN the following mesocycle, gradually introducing tempo and allowing speed to simply come to you, rather than chasing speed. Chasing speed tends to override the fragile muscle memory required to make changes permanent and result in the speed everyone seeks, including me! 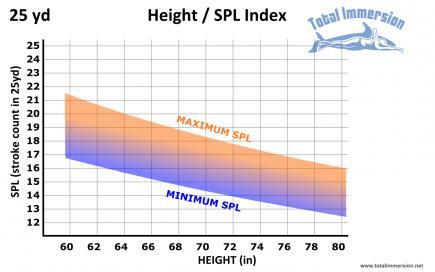 For reference, here is a height guided SPL chart, also pasted above, from work done by Terry Laughlin and fellow coaches at Total Immersion, based on his observations of both elite and recreational swimmers amongst a cohort of Total Immersion coaches. This chart converts height (or wingspan) to a %age of height. GC is about 5’10” tall, so a good target SPL for him is 14-18. 14 would be his lowest target SPL at very easy swimming or warmup speeds and slow tempos. 18 would be at faster efforts for shorter distances. His recent lesson of 16-18 SPL at an easy effort is a big step in getting him into this rage. Exclusive focus on length for a few weeks is GC’s best route of improvement at this point…following which tempo is added back into the mix. What can SWOLF tell us? Interpreting Swim Data from your GPS Watch.